Phuket Budget Hotels are a perfect choice for travellers who don’t want to spend all their hard earned money on expensive resort style accommodation !!! 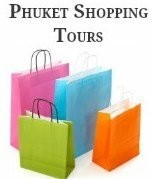 Once you start searching, you will be pleasantly surprised just how many conveniently located good low priced budget hotels you can find across Phuket. 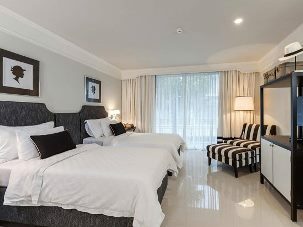 Most budget hotels in Phuket are well furnished and equipped with all the modern amenities that budget travellers need. Including telephone services, private bathrooms, toilet, fans and air-conditioning, and many even have swimming pools and free Wi-Fi. 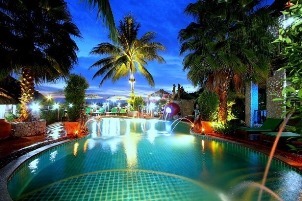 Phuket budget hotels are much cheaper than the luxury Five Star Resorts. However many of these low cost hotels do provide similar facilities, but without all the bells and whistles, and best of all without burning a hole in your pocket. When choosing your hotel, whether it is an upmarket five star resort or a low cost budget hotel, you should consider a few things, such as what sort of facilities are important to you. A couple of facilities we look for before booking any budget hotel in Phuket is the location of the hotel in relation to night life, shopping and the beach and whether the hotel has a swimming pool. With so many Phuket budget hotels to choose from, we recommend before you book your hotel, that you do as we do and read reviews. 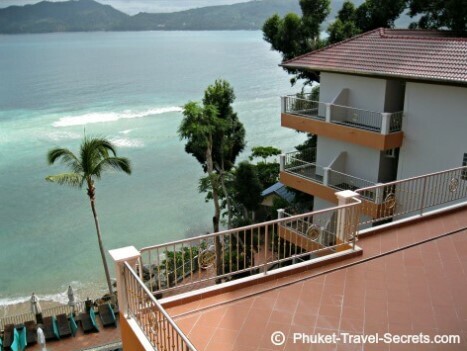 Below is a list of some of the best Phuket Budget Hotels that we have found in Phuket. 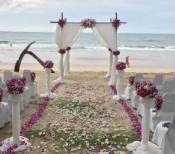 The hotels we have listed are from Mai Khao Beach on the North of the Island to Rawai in the South. Seaside Cottages are perfect if you want a relaxing holiday in a beach side bungalow. Pai Tan Villas offer affordable, comfortable accommodation in a peaceful setting that is ideal for families travelling with kids on a budget. 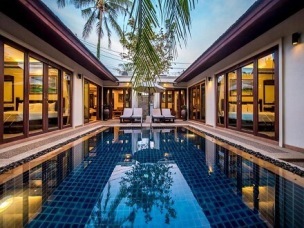 The villas are spacious and clean, set around two lovely swimming pools. Read more on Agoda. Andaman Seaside Resort is an affordable budget resort located just across the road from the southern end of Bangtao Beach. Rooms are large and clean with a range of facilities that include a swimming pool. Read More on Agoda. Surin Sweet Hotel is a clean and comfortable budget hotel that is ideal for families travelling on a budget. 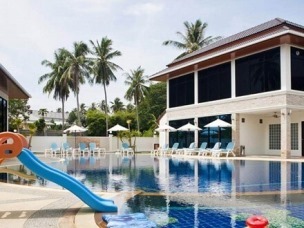 The Hotel is located no more than 5 minutes’ walk from the beautiful Surin Beach with facilities that include a kids pool, a large swimming pool, WiFI, restaurant and bar. Read more on Agoda. Kamala Dreams Hotel is a small friendly hotel situated in a great location directly on the beach at Kamala. The rooms at this budget hotel are all built around the swimming pool, and are clean and comfortable. Read More on Agoda. 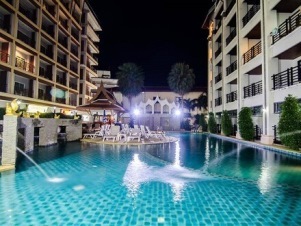 Amata Resort is situated in a perfect location in the heart of Patong. 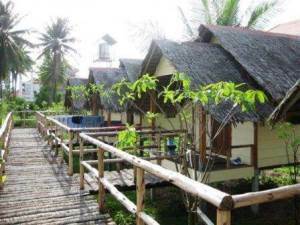 This low cost resort is great for the budget minded traveller, with facilities that include a swimming pool and free WiFi. The best rooms to request are those with a pool view. Read more on Agoda. 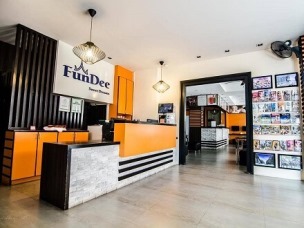 The Fundee Boutique Hotel is in an excellent location, close to all the shopping and nightlife in Patong and only a short walk from the beach. The rooms are clean and spacious with modern facilities and free WiFi. Read more on Agoda. The Viridian Resort is in a great location, close to the beach and within walking distance to JungCeylon shopping mall and Bangla Road. We enjoyed a 5 night stay and found the rooms are spacious and clean. There is free WiFi, an onsite restaurant, bar and swimming pool. Read more on Agoda. 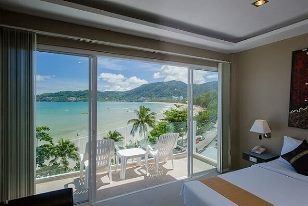 The Front Hotel is located directly opposite the beach at the quieter southern end of Patong. 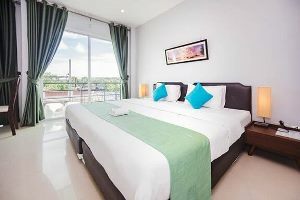 This budget hotel is about a ten minute walk to Bangla Road, and within walking distance to a range of eateries and shopping, facilities include a small swimming pool and free WiFi. Read more on Agoda. 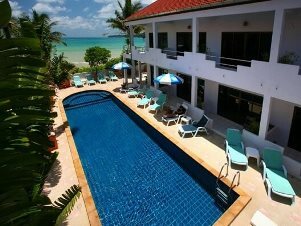 Kata Villa is one of our favourite Phuket Budget Hotels, located directly opposite the southern end of Karon Beach. CC's Hideaway Hotel is located in a unique hillside setting, with cool breezes and fabulous views. Rooms are clean and spacious with facilities that include a free shuttle service, free WiFi, a fantastic swimming pool an onsite restaurant and bar. Read more on Agoda. 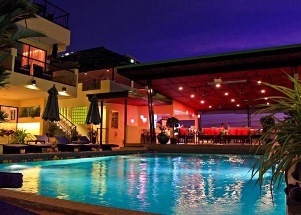 Karon Café Inn is an ideal hotel for the budget travellers who want to be close to the nightlife area and restaurants in Karon and only a short walk to the beach. The rooms are clean spacious and comfortable and as the name suggests there is a fantastic onsite restaurant. Read more on Agoda. 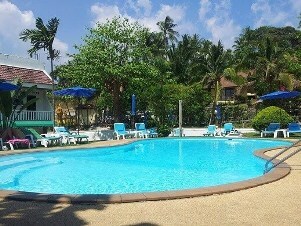 Boomerang Village Resort is located 10 mins walk from Kata beach and all the restaurants, bars and shopping in Kata. This resort is fantastic value for money and is perfect for a family vacation. Facilities include a swimming pool, free WiFi and transfers to the beach throughout the day and early evening. Read more on Agoda. 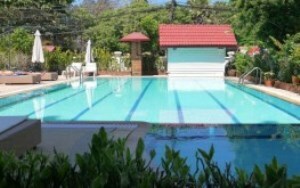 Sugar Marina Resort is situated close to shops and restaurants and only a short walk to Kata Beach. The rooms are spacious and clean with facilities that include a swimming pool and free WiFi. Read more on Agoda. Kata Noi Pavilion provides an affordable place to stay for budget travellers who want to stay at Kata Noi. Rooms at this low cost budget hotel are comfortable and clean and have everything you need, including a private bathroom, telephone, TV, safety deposit box and minibar. Read more on Agoda. Phuket Sea Resort is great value for money, located directly across the road from Rawai beach and surrounding restaurants. There are a choice of spacious rooms available and a range of fantastic facilities including 2 large swimming pools. Read more on Agoda. Rawai Grand House is an excellent choice for travellers looking for a budget holiday away from the crowds. 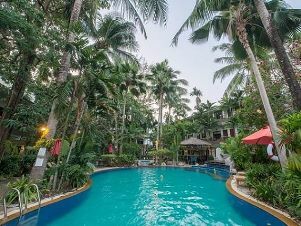 This family friendly budget hotel is located about 500 meters from Rawai Beach; the hotel provides a free shuttle to the nearby Nai Harn Beach. Read more on Agoda. The Cozy House is a relatively new guesthouse that is perfect for travellers on a budget. 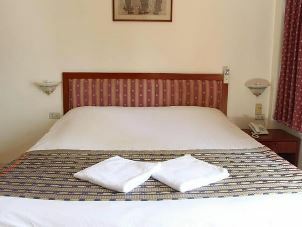 The rooms are clean and spacious with facilities including air-conditioning, TV, refrigerator a kettle and free Wi-Fi. Read more on Agoda. If you want to stay in one of the best Phuket budget hotels during December or January, it is advisable to book your accommodation early, as many of these Phuket budget hotels are booked well in advance at this time of the year. During the low season months, from May through to the end of October it is advisable to book one of the many Phuket budget hotels or resorts that have a swimming pool, as many of the west coast beaches in Phuket are at times too dangerous to go swimming during these months.